Juniperus communis 'Arnold'. A hardy substitute of Italian cypress, a narrow, upright, evergreen conifer that is densely branched and slow-growing. A great specimen tree with feathery blue-green foliage that’s pungently aromatic. Height 100-150cm. Supplied in a 7.5-10 litre pot. Juniperus communis 'Arnold'. 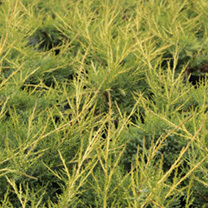 A hardy substitute of Italian cypress, a narrow, upright, evergreen conifer that is densely branched and slow-growing. A great specimen tree with feathery blue-green foliage that’s pungently aromatic. Height 100-150cm. Supplied in a 3 litre pot or 7.5-10 litre pot.